I have been wondering what oil is best for making granola. I usually use canola oil, but sometimes there’s a slight off-flavor, maybe due to overheating during the toasting step. 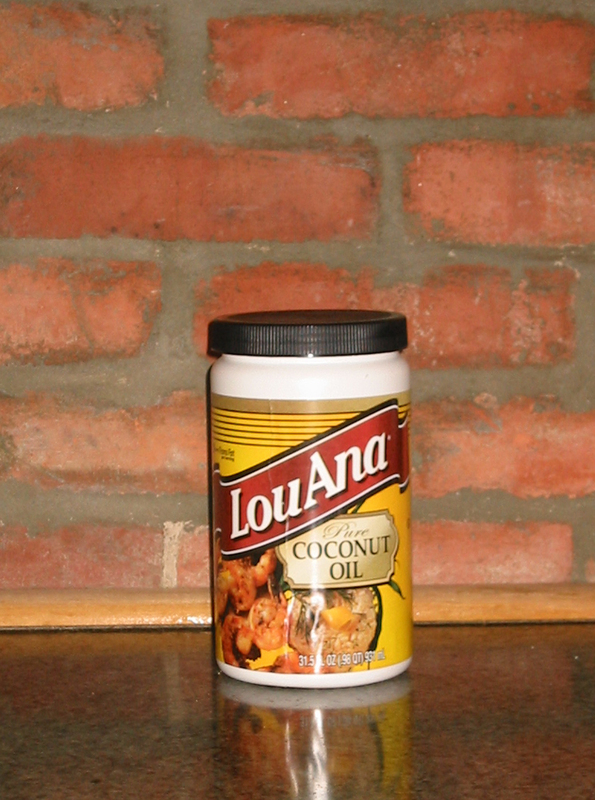 I intend to try peanut oil, but a couple weeks ago I noticed a container of coconut oil on the shelf at Kroger. The granola I make and sell aready has coconut in it, so maybe coconut oil will boost the flavor. I haven’t tried it yet in the granola, and I’ll let you know if it makes a difference worth mentioning. Meanwhile, I was trying to remember if coconut oil is one of the supposedly unhealthy types of fat…saturated, like animal fats are. Strangely enough, a few days after I saw the coconut oil at the grocery store, I came across this article online, “Once a Villian, Coconut Oil Charms the Health Food World.” Serendipity! According to the author, science has revised it’s opinion of the health effects of coconut oil. The article says that if you use virgin coconut oil, and not partially hydrogenated coconut oil (which contains trans fats), you can avoid most of the harmful effects. (The label on the coconut oil I bought at Kroger, a quart for $5, states “0 grams trans fats”; so I think it’s virgin oil.) I also learned that the use of coconut oil is exploding, partly due to demand by vegan bakers. They have discovered that coconut oil, which is solid at room temperature, substitutes beautifully for butter in recipes for baked goods. I decided to try some, but not in baked goods or granola just yet. My first trial was browning breaded fish for fish tacos. It seems able to withstand a bit more heat than canola oil, and smoke less. 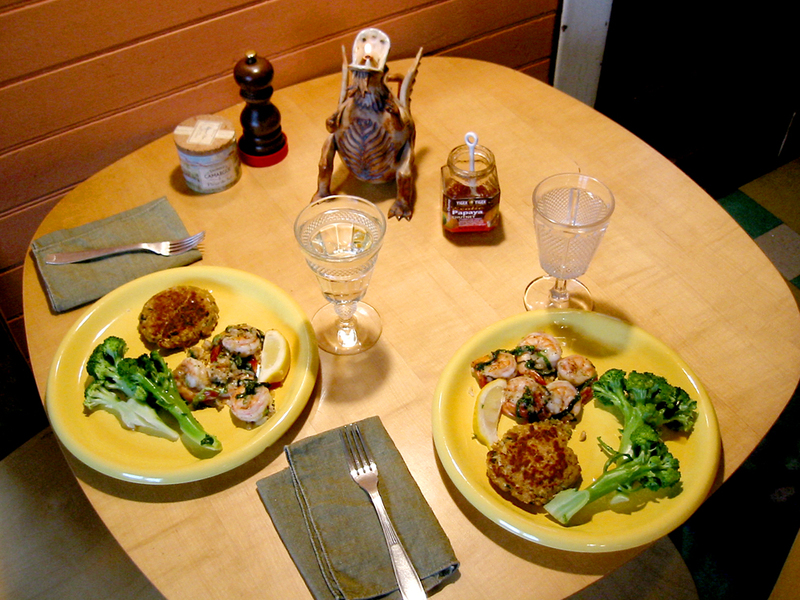 Today, for the blog, I made salmon cakes. Lots of folks grew up eating salmon cakes, but not me. Somehow my mom, who cooked about everything, didn’t make them. But they’re quick, easy, and so delicious. Here’s the procedure. 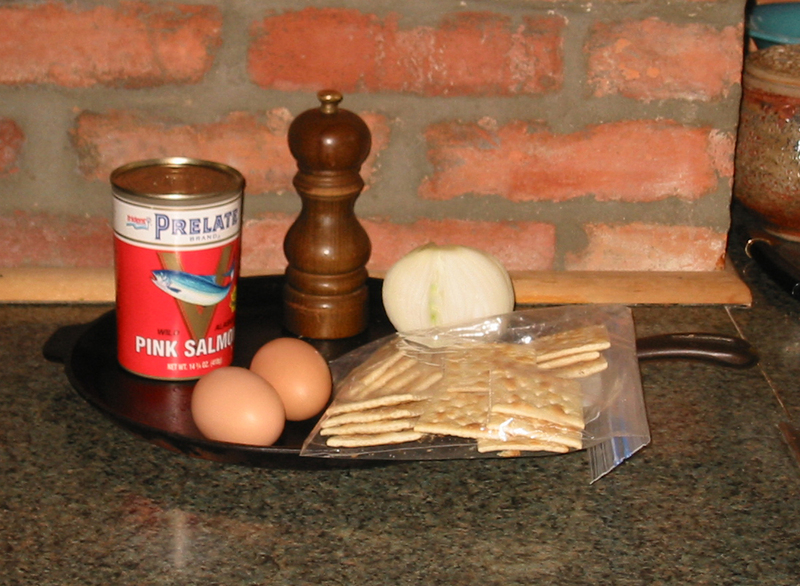 Ingredients for salmon cakes: not much! 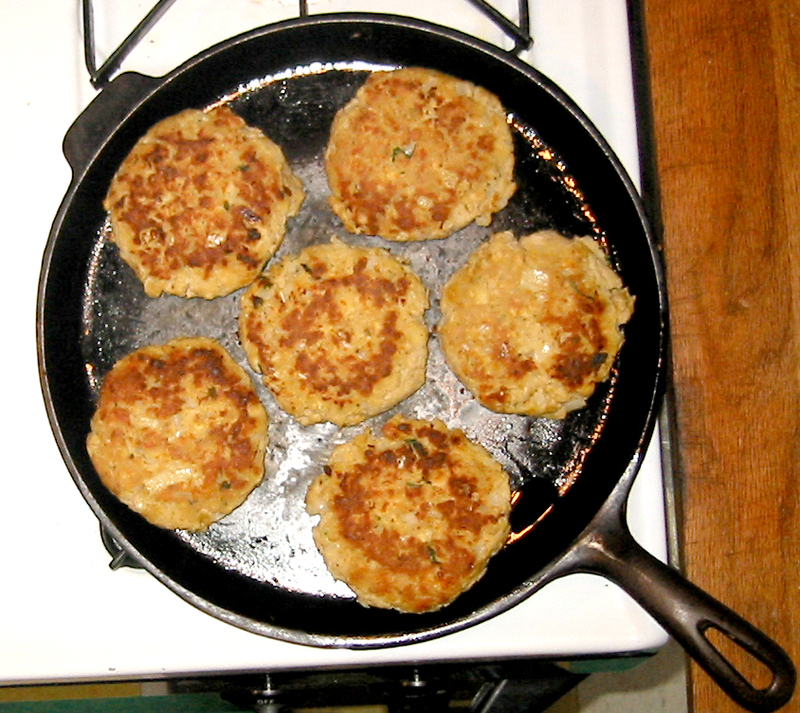 Frying salmon cakes with coconut oil. Mix and portion into patties. (You’ll have enough for 6 3-oz patties.) Fry in a little hot oil. Actually I like these best on a bun with mayo and lettuce. This entry was posted in Kitchen Tips, Recipes, Uncategorized. Bookmark the permalink. Interesting post Mimi! I love all the pictures you used and your experiments with new products. Please continue to let us know how coconut oil works in your kitchen, or if you experiment with anything else! I haven’t made salmon cakes for a looooong time, but you put them back on my radar. 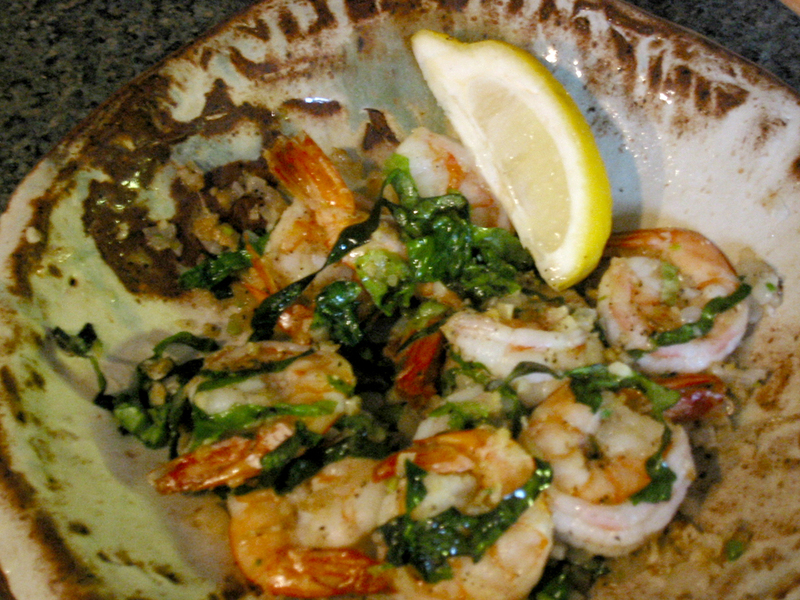 The shrimp looks absolutely delish! Neither had I, but our neighbor Joanne Sponaugle brought us two last week and put them on our radar! We had them on whole wheat buns with mayo and lettuce.